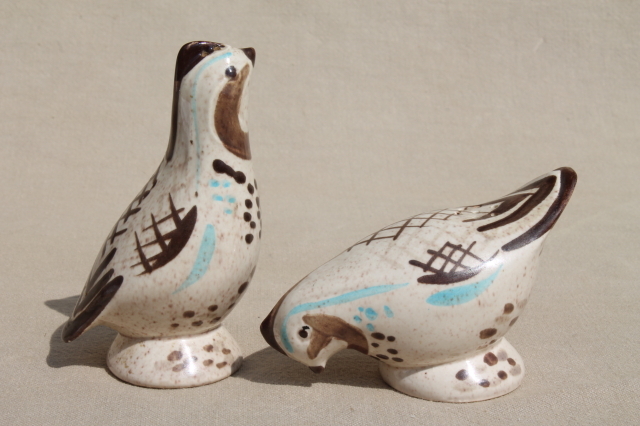 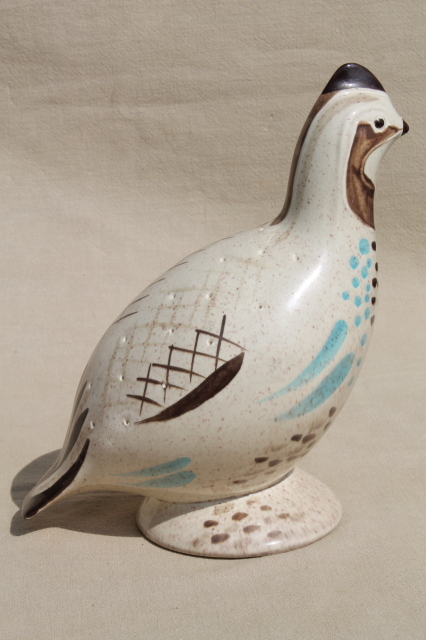 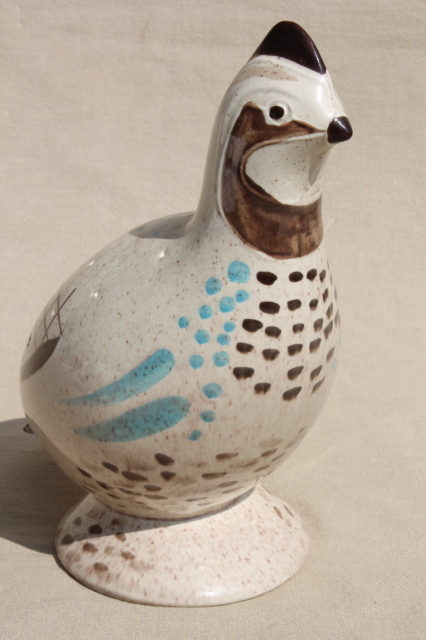 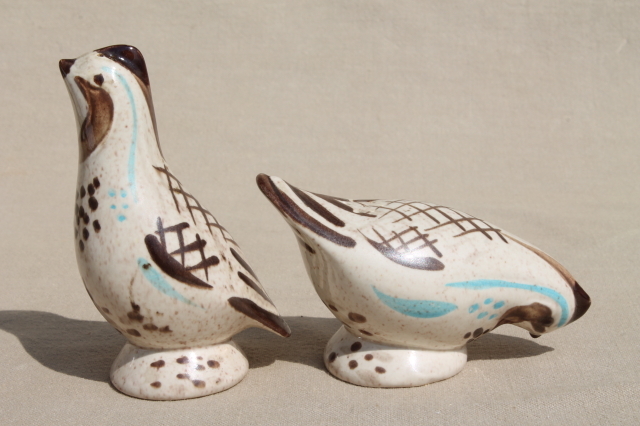 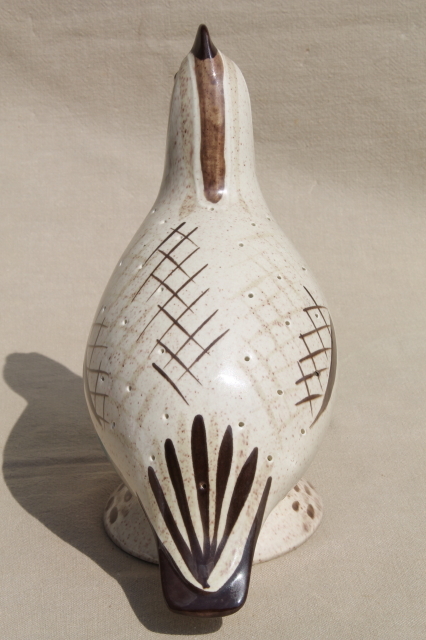 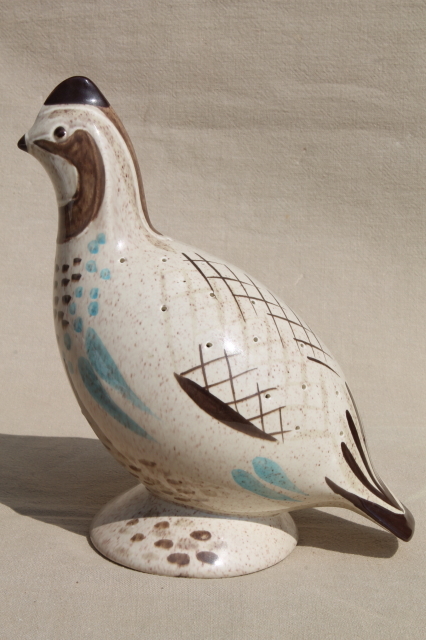 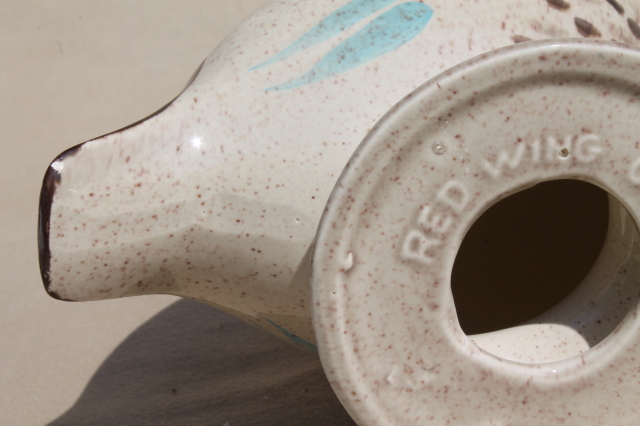 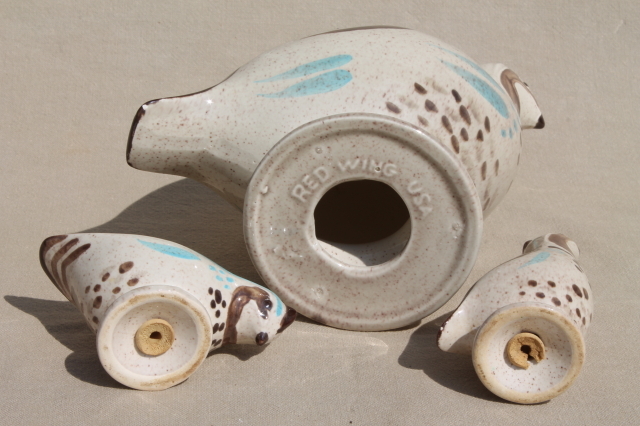 Vintage Red Wing pottery Bob White pieces - a large bird to hold toothpicks, and a pair of salt and pepper shakers. 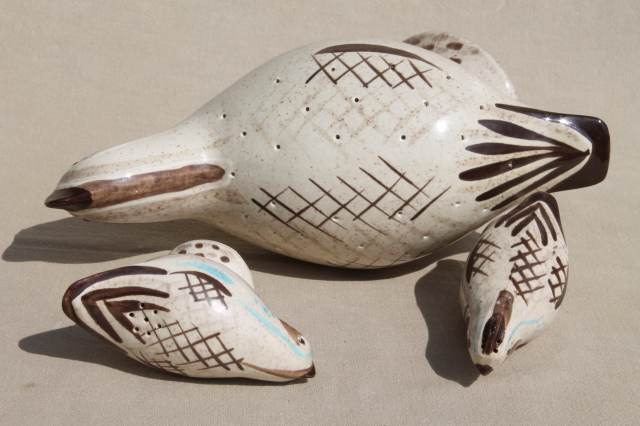 It&apos;s a whole family of quail! 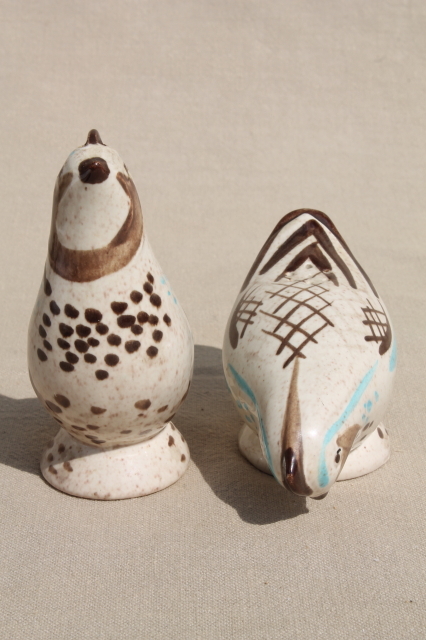 The larger bird is about 9" tall, and has a tiny glaze chip to the underside of the tail as shown in the photos. 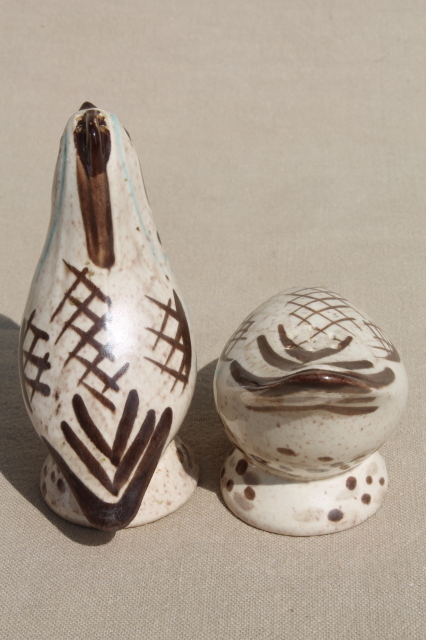 The shakers are both in very good condition, though the old rubber stoppers are worn.